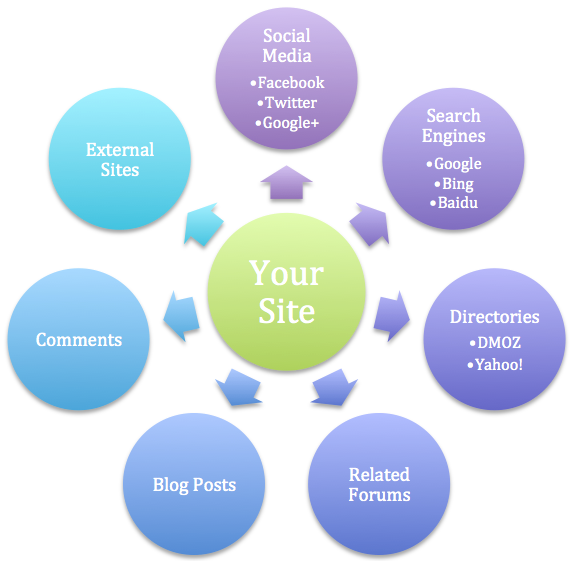 One of the success factors of your online presence relies on how important your site content is to other site owners. Search engines measure this parameter by counting the quality links pointing to your site. This will result in listing your site in top of search results compared to other sites having equal quality content with less backlinks. When your site is on top of search results more visitors will click on it and visit your site. Hence it is important to get quality backlinks to your site to get better traffic. Here is beginners guide to backlink building to improve the ranking without affecting your search engine presence. Backlinks are the simple links directing to your website from other sites. Some webmaster refers these as an inbound links. It is very important to build backlinks as it not only indicates the popularity of the site but also for SEO purpose. Google gives more weightage to sites having good number of quality backlinks and rank those websites in top of the results pages for a search query. When other site owner links to any of your site’s page then this is counted as an inbound link. An outbound link is located within your site and navigating to some other site’s page. An inbound link is the most important ones from SEO perspective which can be categorized in to one way or reciprocal links. Below picture shows the representation of one way link which points from site 1 to site 2. One way links are the most recommended links which are considered by search engines for calculating link weightage since it is considered as a measure of counting your content’s real value. The more one way links you get for your site the more possibility that your site will top in search results. Moreover, search engines like Google will assign improved PageRank based on the inbound link count. Reciprocal link is represented in the below diagram where two of the sites interlink each other. Normally webmasters create reciprocal links with mutual agreement and hence search engines treat these links as a negative factor assuming these links are created manually. 3. Why You Should Build Backlinks? Ideally website owners do not have any control over the backlinks and you cannot predict how many sites will point towards your site. The simple factor is your content quality which ultimately attract more people to use your webpages in their sites. More the backlinks better the search engine ranking of that page. In reality even the best content needs promotion to attract more visitors and hence the backlinks. Link popularity is the major things in backlink building for search engines. The concept is that the quality content will automatically attract more visitors and more inbound links to that page. Hence search engines previously ranks the page with more link count in the top. But nowadays with smart search engines like Google can easily identify the unnatural links by looking into the source page’s popularity, content and relevancy. The inbound links from an already popular page relevant to your page is highly considered value and bring good results for your page in the search results. 4. What are the Ways to Build Backlinks? Think of a situation you are searching in Google to find solution to a simple problem. All those top listed search results are not offering correct solution and you found the answer on the page showing in number five. You are very happy to get a free solution and probably tend to share the page link with your friends in social networks. If you have a blog then you will probably provide the link to the site where you find the solution. When the word of mouth spreads to many people they in turn share or link the page. Thus the link popularity of the page will increase and the page will move from number five to number one in Google and other search engines. The whole concept of backlink building works based on the quality content and offering simple solution to the most searched problems. Unfortunately it does not work so simple. You should already have a reputed site for the page to appear on first page of Google. For a new site it will take years to appear on the first page whatsoever the best quality content you have. Ultimately we are not talking about sites like CNN, which does not rely on search traffic at all. We are talking about the sites especially created to provide information. Besides the quality content, new site owners should follow certain promotion techniques to ensure the content is reaching out the targeted audience. This may be needed for a while till the time the brand name is established and the site starts appearing on first page of Google, Bing and Yahoo! But the truth is that most of the new site owners don’t have patience and fall prey to black hat SEO techniques. They make mistakes by building unnatural backlinks quickly. This will result in search engines remove the site from the results instead of ranking up. Typically a business site will have less than 10 pages and having such a small site will not take you anyway in long run. The simple way to make your site popular is to have an attached blog and start writing content related to your main business. Over the period of time people will start linking to your articles and your brand reputation will improve. This will also increase the number of visitors to your site and increase the possibility of getting more customers from the visitors. So we highly recommend having a blog to generate backlinks instead of spending money on SEO agencies and link exchange programs. 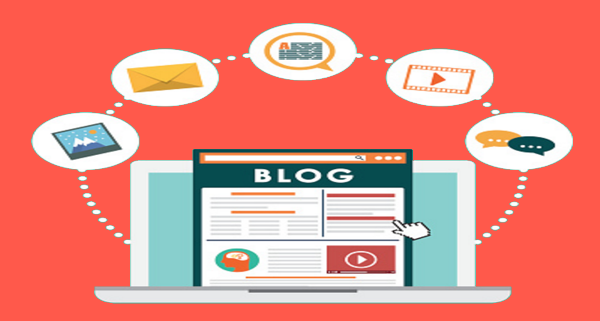 Learn more about the importance of having a blog on your business website. Search for the relevant sites accepting guest blog posts. If you are writing about WordPress then shortlist sites that are talking only about WordPress. Submitting your WordPress article to an essay writing website is simply ridiculous. Check out the submission guidelines on the site and understand the terms clearly. If required discuss with the site owner and make things clear before article submission. Ensure the site accepts do follow links in the article. Do not stuff irreverent links in the article and limit the links to one or at the maximum two. Submit the article with author bio with your company details and social links. At any case, if guest posting does not earn quality backlinks, we are pretty sure at least it will improve your online exposure. Posting your articles with your site information in the related forums and blogs will notify other users about your site. This again not only publicize your content but also drag potential visitors to your site. Similar to guest posting, forum posting helps to increase your knowledge as well as to get good exposure to your site. 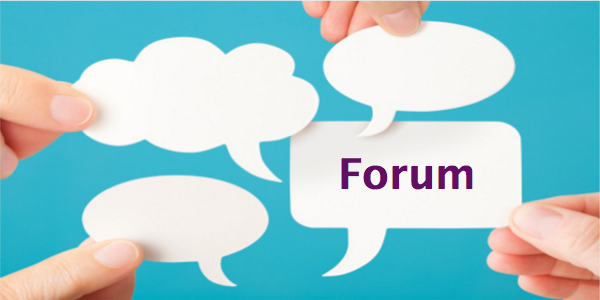 Be sure to be part of the popular and relevant forum as your site’s niche. Most of the reputed forums need the participant to get certain status before posting links or adding signature links. Ensure to follow the guidelines and become a reputed member. Later you can offer your article’s link to relevant questions. Select the respectable forum to make the backlinks quality and understand the rules of the forum whether posting links in articles are allowed. We recommend not to use signature links which will be shown on each of your posts. Only provide the link of relevant article when it is useful in that situation. Nowadays it is common to have hundreds of friends, fans and followers on Facebook and Twitter. When you run a website, especially a local business site, ensure to make use of your social strength. Social network is becoming more and more powerful and each of your fan / follower can have another hundreds of their own. Ensure to share your articles, discount offers and special events in social media. 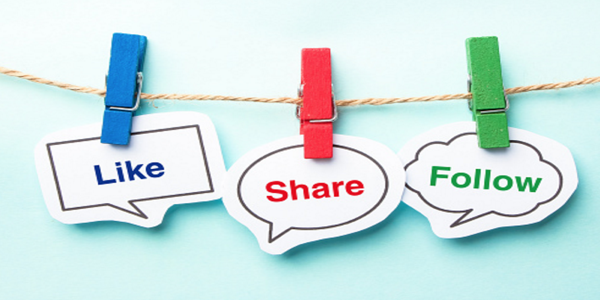 There are high possibilities that your content will get a boost when people share or like it multiple times. When the article becomes popular it will be referred in other’s sites and get quality backlinks. If you don’t have much fans or followers then start running a paid social campaigns to start building your community to reach out with your content. Similar to paid social campaigns, paid advertising is one of the easy ways to get traffic to new websites. From Google to Microsoft, every giant out there offer advertising coupons to encourage people spending money on paid ad campaigns. 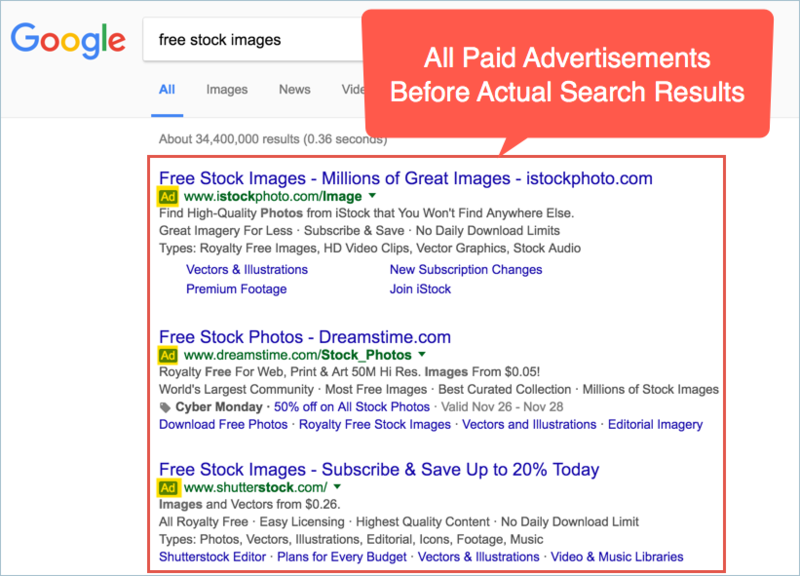 Believe it or not, paid ads work perfectly to build quality backlinks. We know many people just click on the first search result without even noticing that’s the pad advertisement. When you have quality content, there are more chances that people visiting your site will backlink through their blogs. The easiest way to create more quality links to your site is to submit your site to directories like DMOZ. This also helps your site noticed by search engine and attract potential visitors. Site submission to the directories is generally free but the issue here is you need to wait for long time to get your included. Submitting your blog feed in the link exchange programs is another way to create quality backlinks to your blog. You need to be careful in selecting the quality programs for exchanging your URL or feeds. Do not exchange your URL with unreliable free link exchange programs and SEO companies. The mistakes done by your SEO company needs to be borne by you. Avoid reciprocal links with your own sites linking each other. Search engines may demote the ranking of both of your site. Do not provide your links in the comment sections of irrelevant webpages with spam comment. Avoid using irrelevant anchor keywords like your name for linking. Avoid flooding with inbound links which can easily be identified as unnatural links. Review your SEO company activities and monitor them to prohibit building unnatural links. Never buy links from other websites. The main reasons to avoid these sources are that the links obtained will not be quality backlinks. Search engines will consider these links as unnatural links and ban your site from listing in search results if your site gets thousands of backlinks in a short period of time. Webmaster tools account is a free option where anyone can check the inbound and outbound links for their verified sites. Especially Google Search Console offers highly reliable link count and you can download all links pointing to your site. If you worried about unnatural links from low quality site then immediately contact that site owner and inform them to remove the link. If you are not successful then use disavow links tool to inform Google that the specified links are of no value to you and not consider those links for search ranking. 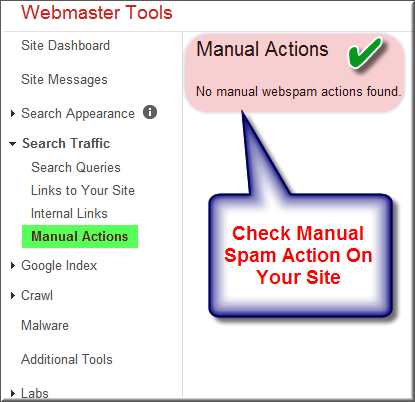 If you notice sudden dropping of your site’s search position then ensure that there is no manual spam action on your site in Google Search Console. What you need to do is very simple – follow steady approach of building your links through relevant forums, listing in directories and promote your content through newsletters. Creating a website and making it stand out of the crowd often needs lot of time, effort and investment. The truth is that wrong doing at any point of time will spoil all your hard work and bring you back to square one. The above explained techniques need either time or money but definitely will yield good results. Thanks for mentioning what links to avoid, will surely keep this in mind! There seems a lot of ways to do SEO nowadays, and so it is very important to keep abreast with Google’s algorithm updates and/or guidelines. Very insightful article indeed! Great blog article regarding backlinks. I want to ask a question that do types of backlinks matters. How important would you say that anchor text is in ranking as an overall strategy? Is it ok to put a portion of your keyword in the anchor text as opposed to keyword stuffing? Thanks for the insight and post. Gave me a lot to think about.